Plymouth firm Curtis Whiteford Crocker Solicitors has been given a Lexcel award – the Law Society’s own quality mark for excellence in legal practice management and client care. Only 10% of the country’s law firms have obtained Lexcel status which is subject to a rigorous annual inspection. Curtis Whiteford Crocker employs 49 staff at three offices in Mutley Plain, Plymouth, Torpoint and Tavistock and first obtained Lexcel status in 2012. The Law Society scheme was drawn up by solicitors for solicitors and is a guide to best practice for legal firms, setting a gold standard across the country. Firms have to commit staff, time and money to meet the Lexcel award requirements and CWC Solicitors Office Manager Michelle Handley says that the Law Society process is an intensive one. “It’s a voluntary accreditation scheme but it has an extensive annual inspection process,” Michelle explains. “The quality mark is important both for client care and for the way we run the business. It makes clear who we are and what we’re doing and offers reassurance to clients. “There is open and frank monitoring every year to ensure that quality is upheld. Not a lot of firms have it – only 10% of solicitors in this country have Lexcel status and around 11 firms in the city. “You do really have to prove yourself year on year and you really have got to want it and work hard for it. It’s very hard for a small firm to do because there’s a big commitment and it takes a long time. It took us 18 months to prepare for our first inspection and be ready for it. As well as ensuring standards are met, the Lexcel process is updated every two years to take into account changes in legislation and new issues facing the legal profession such as the rise of cyber fraud. 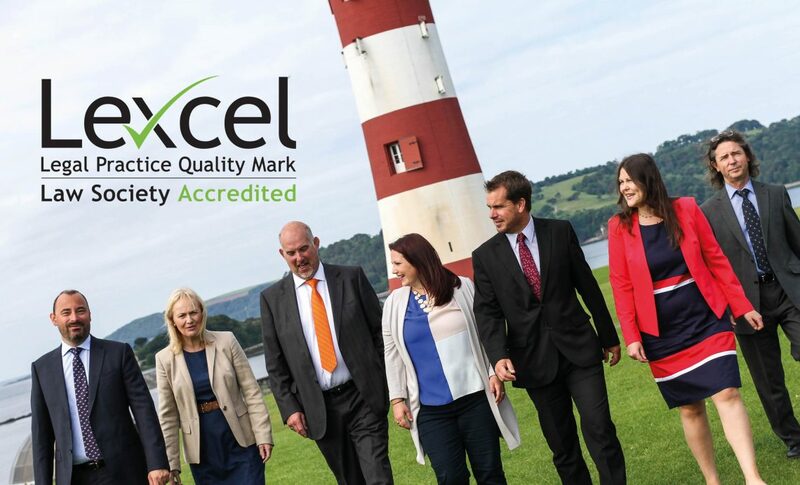 CWC Solicitors has committed to the Lexcel scheme long-term and this year improved on the previous year’s accreditation score. CWC is the result of several mergers and acquisitions of law firms in the Plymouth area. What was Curtis Solicitors began a process of expansion in 2012 doubling staff numbers to 36 when they merge with Whiteford Crocker. They then took over Trobridge’s private clients in 2013 and the offices of Browner, Milne and Davidson in Tavistock in 2015. They are due to take on their 50th member of staff shortly and, as Michelle says, “we’re not done yet”. Curtis Whiteford Crocker Solicitors are delighted to be working in association with Walter C….